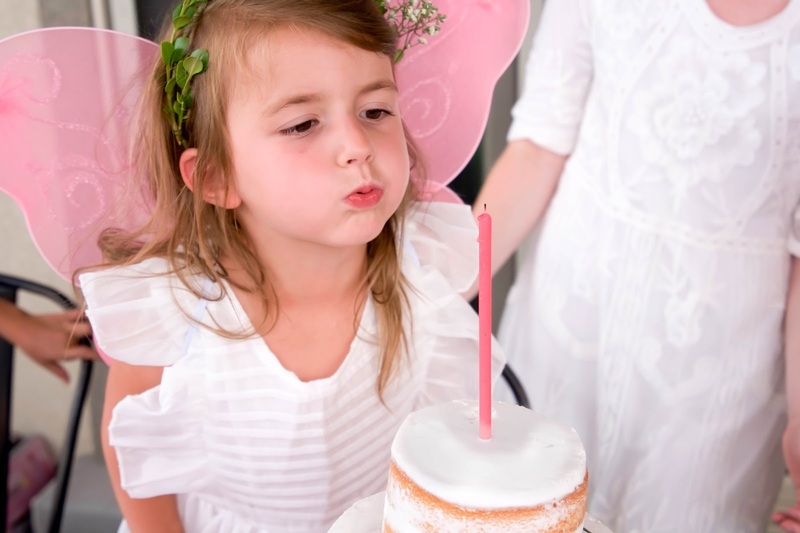 How do the years go so quickly? 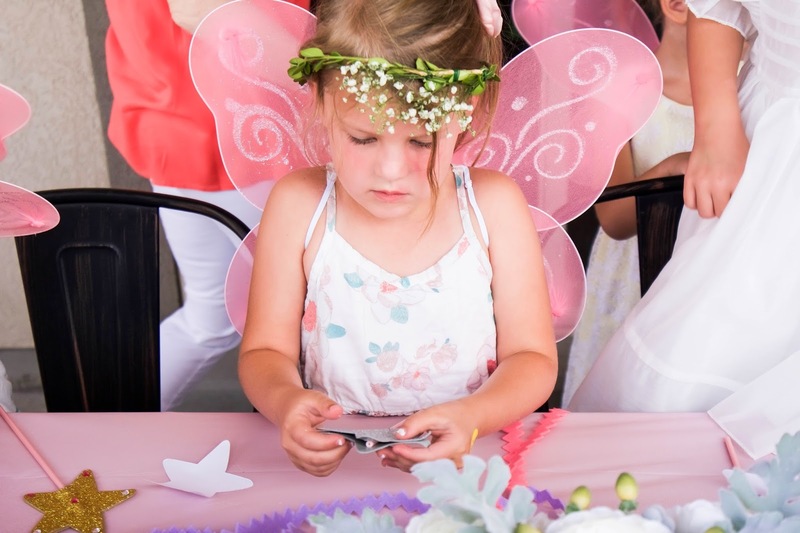 This princess is one whole hand. A nickel. Five just seems so big. I wish I could freeze time. 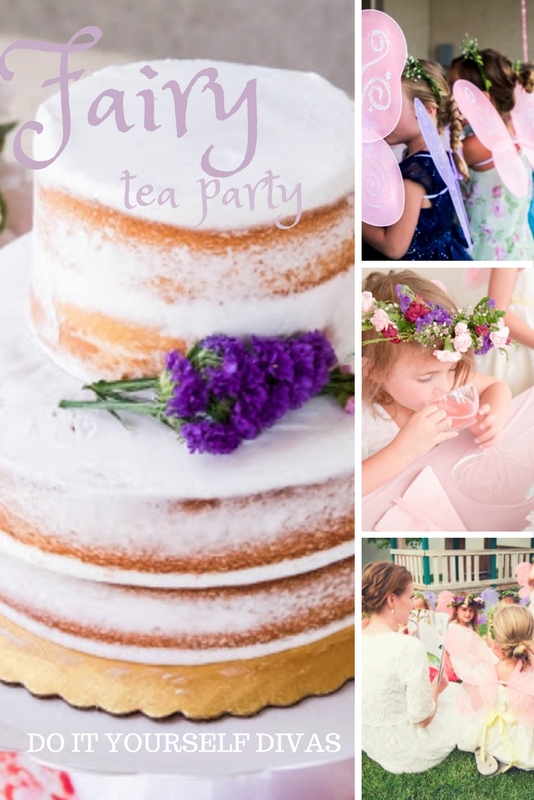 beyond excited to share with you all the details of this little gems fairy tea party. My little girl and I greeted each guest at the party with our fairy wands in hand. With the wave of the birthday girl's fairy wand, each of her friends magically turned into a fairy. 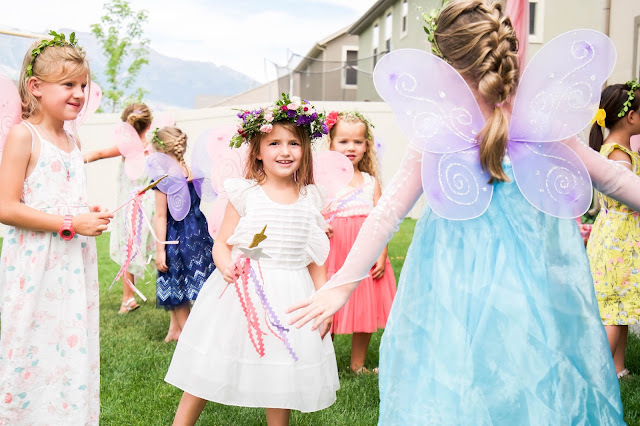 As each girl spun around, I placed a set of fairy wings on her back and a flower crown on her head. 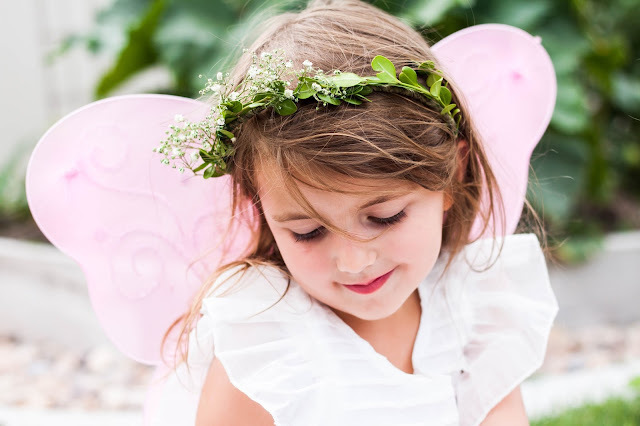 I found these darling fairy wings at the local dollar store, but Amazon is a great place to look as well. 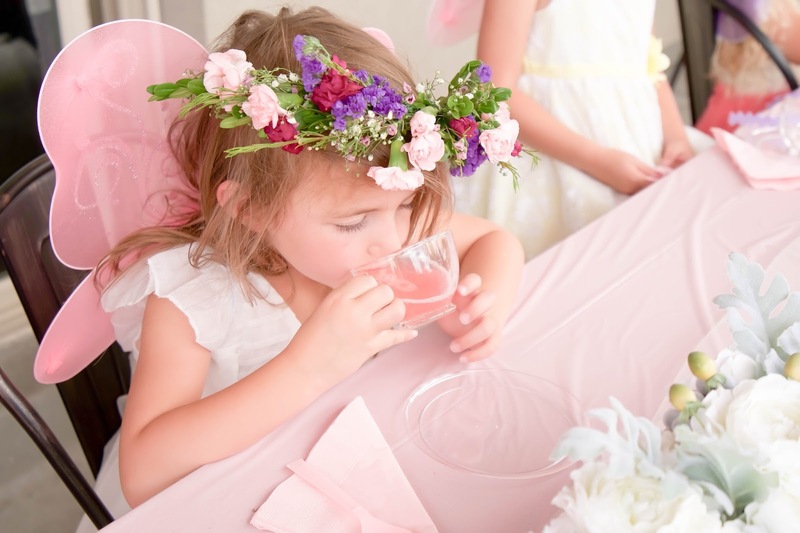 Check out the easy DIY Flower Crown/Headband from our last post HERE. 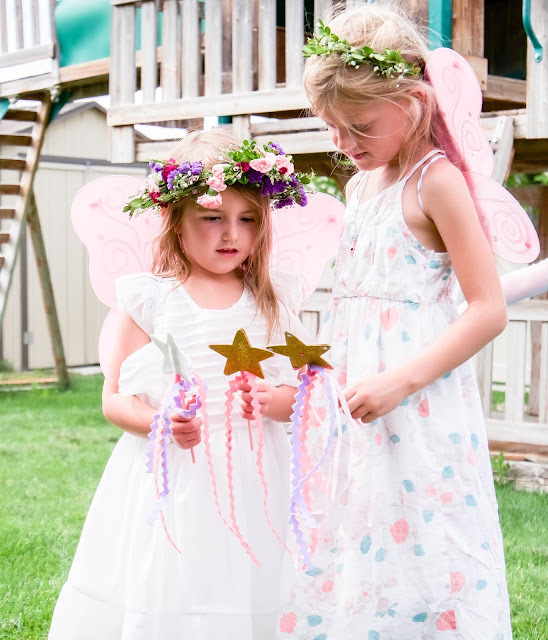 The first activity that the little fairies did, was creating their very own fairy wand. 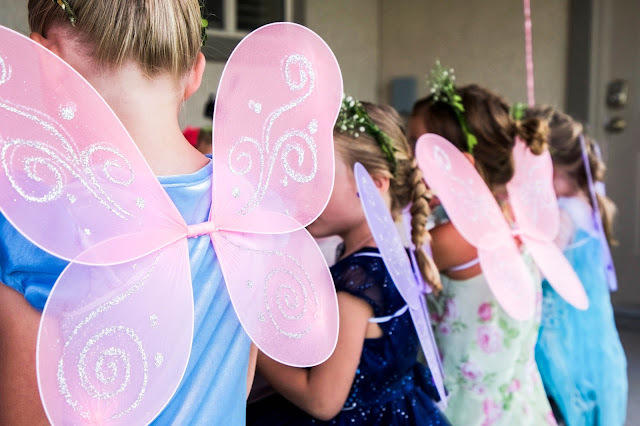 I found my fairy wand kits at the local Target. You can find ones similar to these on Amazon HERE. Once the wands were made, we played music and the little fairies danced and danced their little hearts out. 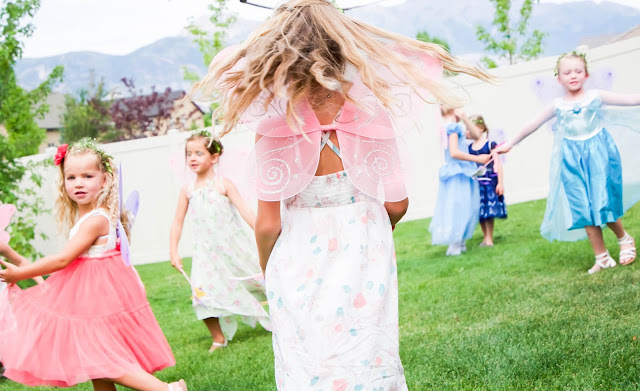 I just about died seeing all of my daughter's friends dancing with their fairy wings and wands. It was pretty darn magical. 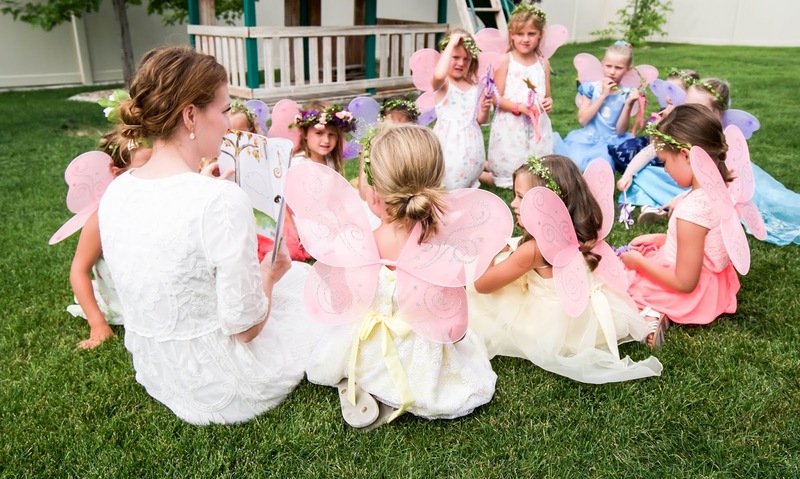 After the little fairies were all tuckered out from dancing we gathered together and I read a darling book by David Shannon called Alice the Fairy. 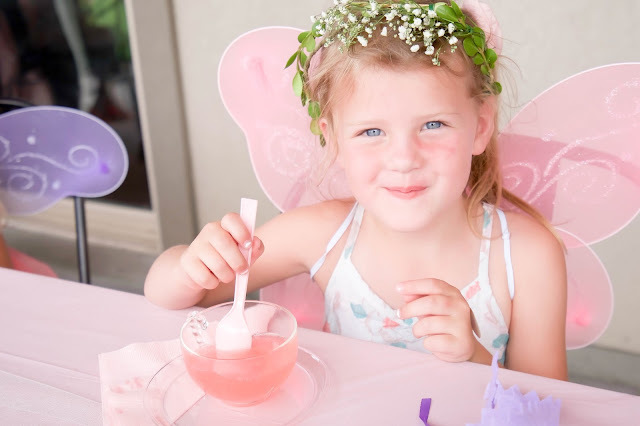 While the cake was being cut, the little lovelies enjoyed fairy fizz with their very own glass tea cups, (found at my local thrift store). 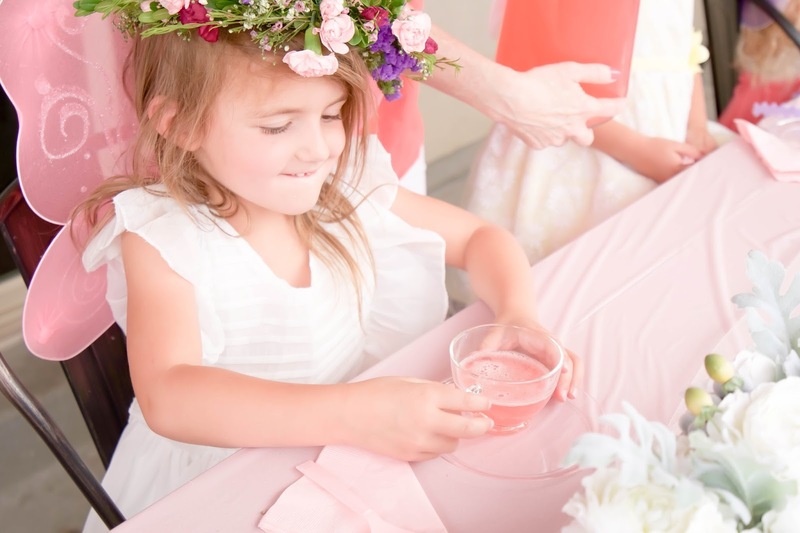 We talked about etiquette and how to properly sip, with our pinkies outstretched. 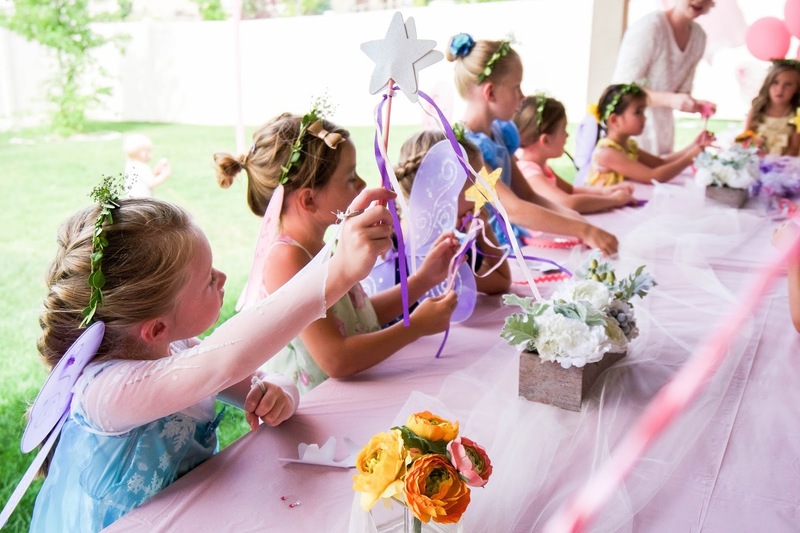 I'd say this party was a HUGE success. 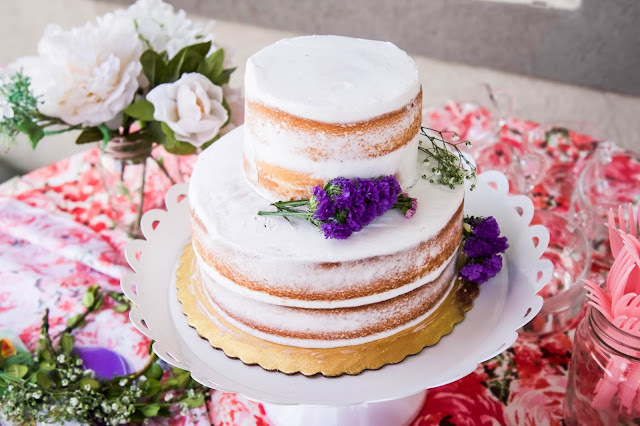 It was short, simple and sweet. It was so incredibly fun to throw, and I thoroughly enjoyed watching my little lady and her friends play in their little imaginations for an hour. It was beyond enchanting. I even spotted a few friends sporting their fairy wings the next day around the neighborhood. That certainly brought a smile to my face. 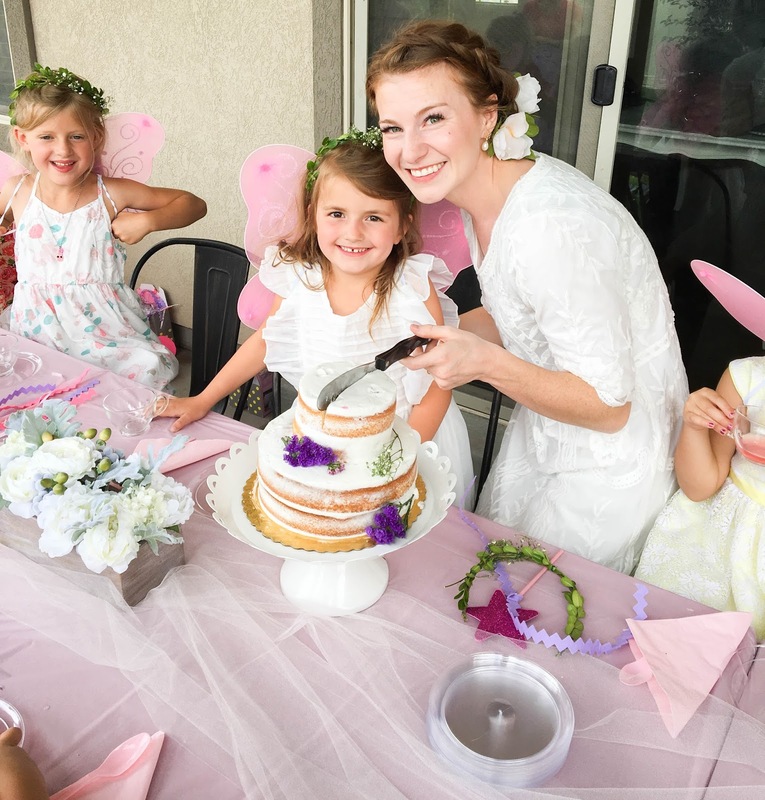 This was an adorable party! You are beyond talented!